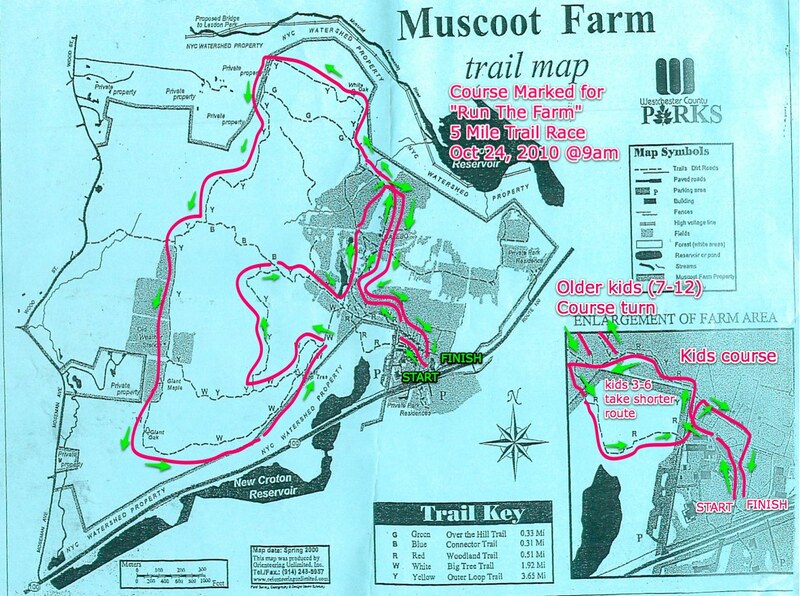 We will be running course checks for the next two Sundays (10/9, 10/16) on the Run The Farm course. Join us if you can — meet at 8am at the Muscoot Farm parking lot. We will be back in the parking lot around 9am and if anyone wants to check the kids course (both the short (1k) and long (2k) courses) we will head out on a Kids Run The Farm course check at around 9:15 or so. Meet near the farmer who sells the honey (yellow tent). Contact us if you have any questions. Run The Farm and Kids Run The Farm will be held on Sunday, October 23rd starting at 8:30. Registration is still open as of now! Hope you can join us (for the course checks and the main event)! Rain or shine.